I love making New Year’s resolutions. That sense of a fresh start, of reinventing myself, always fills me with optimism and inspiration. In the past, my resolutions could literally go on for pages. They covered all aspects of my life, from my eating and exercise habits to my relationships and personality. In one fell swoop, I would be a new person. And inevitably, within a few days, I always forgot them. Hmmm… I have no idea what it was. I think it may have been “patience.” But if I’m honest with myself, although I admire patient people, I don’t think that will ever be me. The mistake I made last year was not putting enough thought into finding a word that resonated with me for important reasons. For the past two weeks, I’ve been on vacation in Mexico, exploring the Yucatan Peninsula. This meant a lot of walking and time to think. When I wasn’t dreaming of what life was like for the Mayas, I spent plenty of time thinking of my word. The one that I really felt like I needed to embrace was “balance.” I tend to be the kind of person who becomes passionate about something and forgets about everything else, often to the detriment of health and family. So finding balance is important to me. But I had a sneaking suspicion that that word would just go the way of “patience” and of all those other resolutions. It just didn’t excite me. As my family and I climbed pyramids and swam in cenotes, as we tasted new foods (fried crickets or boiled ant larva anyone?) and wrapped our tongues around strange Mayan syllables, I felt a sense of wonder and renewal. My everyday worries fell away and I lived truly in the moment. I made connections to a previous trip to India – where spicy food is also wrapped in flat bread, houses are decorated in bright colors, and the people are helpful and friendly. The civilizations were so different and yet so similar. And it came to me: this is what I love – discovering new places, tasting new foods, connecting with people. I love to explore and learn. And I think the word “explore” encompasses a sense of balance, too, if I consider exploring all areas of my life. When I was younger I loved to travel. The discovery of new places, the incredible magnificence of the world, made me feel boundless. Once I had children, travel became limited to going home to see family. Then I opened up a school and that took up all my energy for the next 15 years or so. Life was busy, full of discovery (discovering my children’s developing personalities, discovering how to build and run a school), and I felt fulfilled. But then, my children left home while my school grew up and became independent, leaving me at loose ends. It took me a while to realize that this lack of obligation opens me up to so many possibilities. exploring new project possibilities – do I want to write a book? Start a project with another school? Exploring in 2017 means waking up each morning with the excitement of endless possibilities! Truly inspires me to try oneword for my 2017 resolutions, thanks for sharing! I’ll be curious to see what your word is Lorena! Your holiday sounds amazing and your #oneword is wonderful! From what I know of you already this is totally YOU. I love reading your posts Carla. Happy New Year! And I always love hearing from you…thanks for reading Gillian! Happy New Year to you too! 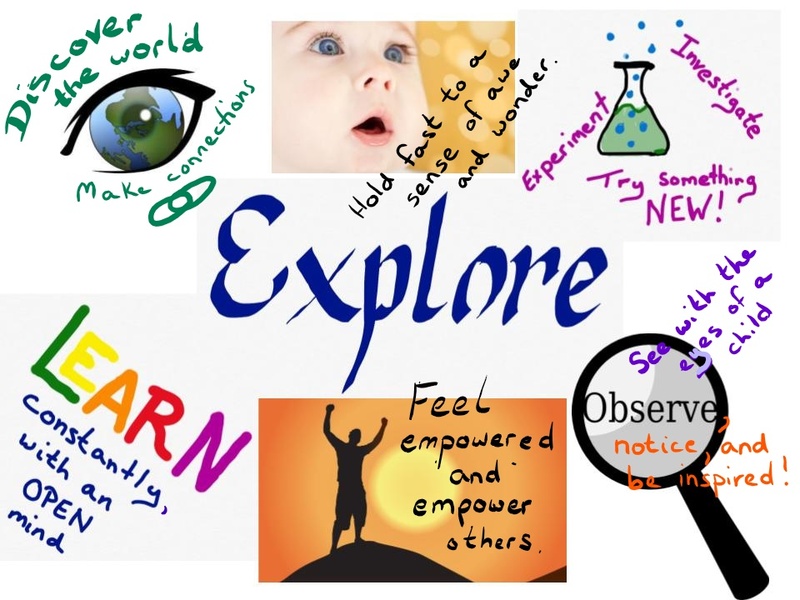 Explore – what an exciting word! I can’t wait to hear what comes of it!